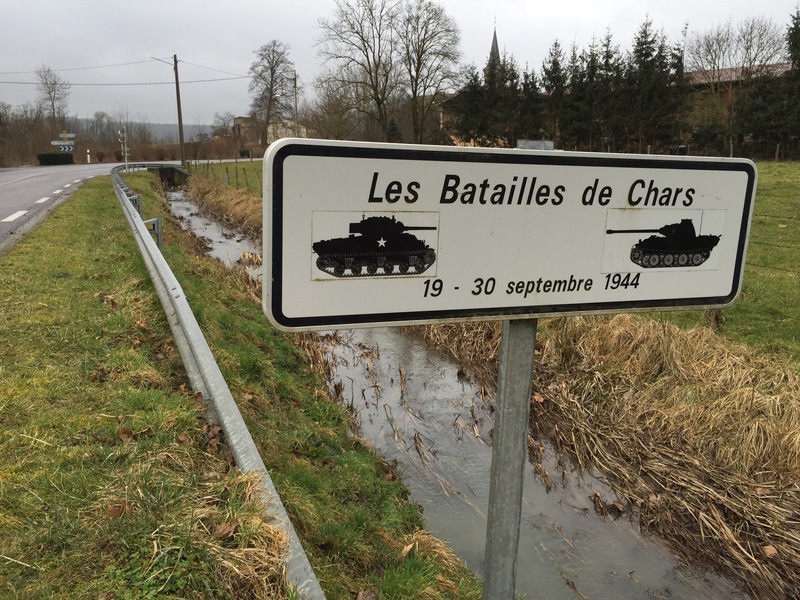 The Battle of Arracourt in September 1944 is something of a forgotten battle of WW2. Arracourt is a village in eastern France where the US Army had been advancing since the liberation of Paris in the summer of 1944. While Operation Market Garden was taking place in Holland, to the Allies surprise the Germans proved capable of pulling off a counter offensive in the Lorraine and at Arracourt German armoured units took on the US 4th Armored Division. 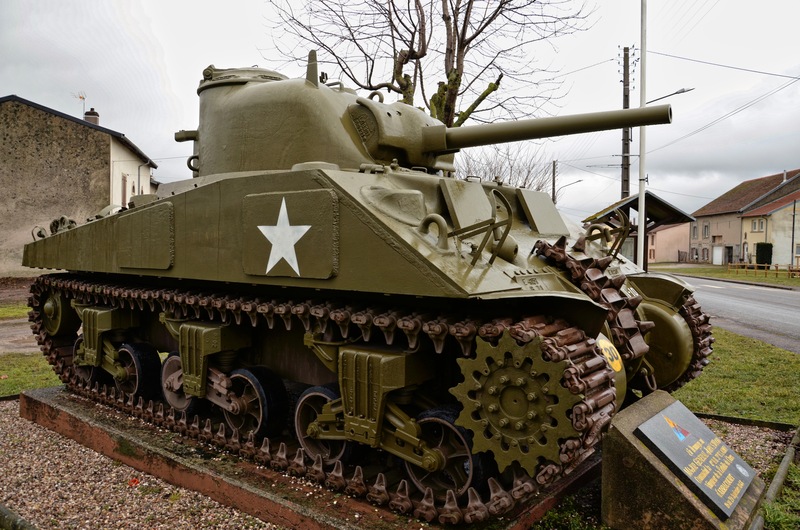 An M4A4T Sherman is now on display in the centre of Arracourt village in memory of the tank battle here in 1944. 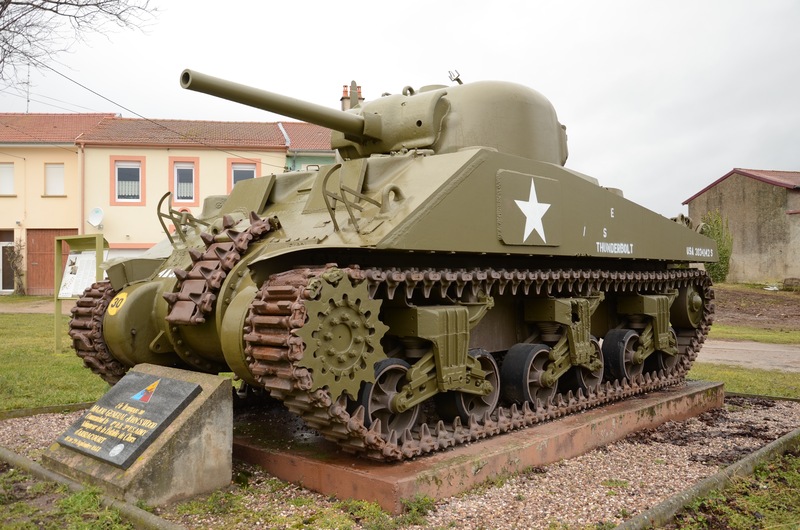 The tank came from the reserve collection of the French Tank Museum at Saumur and is a post-war modified M4 A4 Sherman with a 75mm gun.